Beautiful new window installations allow you to enjoy your day to day life. Replacing windows in your home can be a quick and easy upgrade to your home's value. Modernize is your trusted source when you are looking for replacement windows in Miami, FL. We can connect you with the right company for whatever window replacement needs you may have. Get free quotes from the best window replacement contractors in Miami, FL, ready to complete your project. Miami is one of our nation’s southern most cities, and has a tropical climate prone to the occasional hurricane. Building codes in Miami are designed to ensure building practices can stand up to these powerful storms with as little damage as possible. This directive also applies to new window installations whether it’s for a single installation or your whole house. Before purchasing new windows, you should take into account the following considerations, which will help steer you in the right direction when choosing new windows for your Miami home or business. The City of Miami requires permits before beginning a window installation project. You can file for a building permit by visiting Miami-Dade County’s Permitting and Inspection Center located at 11805 SW 26 Street (Coral Way) Miami, Florida between 7:30 A.M. and 4 P.M. The costs associated with new window installation can be minimal for a single window or substantial for a whole house. The type, style and rating of the applicable window will play a large part in the final costs. You can pay for your new window purchase through a variety of ways. The beset option is to save and pay cash, but this might not be an option for large purchases. Banks and lending institutions may offer you an attractive home improvement rates through a Home Equity Line of Credit (HELOC) or a secured loan. Many window suppliers and retailers also provide attractive financing offers. Unless you are moderately skilled in construction practices, most property owners require the services of a skilled window installer. To protect your interests, you should always verify a contractor’s license, experience, and insurance. The State of Florida requires contractors to carry both liability and workers compensation insurance to do business in their state. You can verify the status of their license by visiting MyFlorida.com. 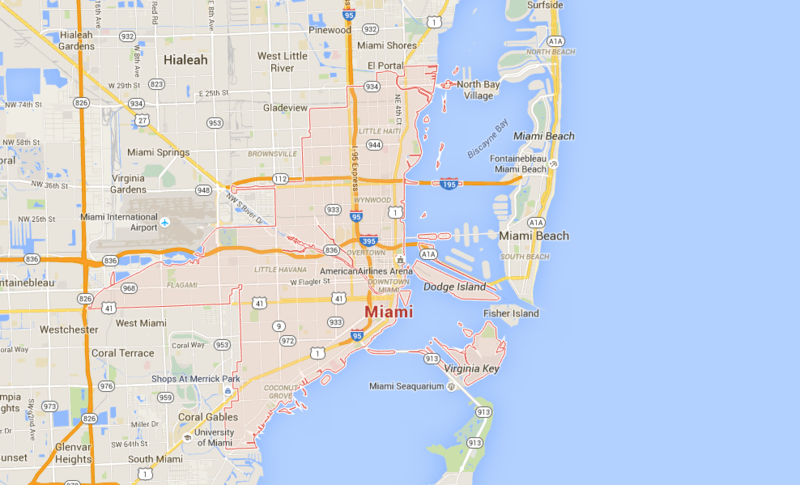 There are many places you can purchase new windows in Miami, Florida. Single window applications might serve you best by buying from one of the big box stores that stock popular styles and sizes. If you were considering replacing all of your existing windows or purchasing windows for a newly constructed home, you would be better off utilizing the services or a window supplier and installation company. The big box stores can also handle whole house installations and sometimes offer rebates and incentives that might be attractive to you. Another advantage to using one of the big home improvement retailers is that they are known for standing behind their product and services, which offers a peace of mind if problems arise. Aside from the occasional manufacturer rebate, single pane, low-efficiency windows are left out in the cold when it comes to rebate and incentive programs. Property owners considering energy efficient and hurricane rated windows may have programs in place that help absorb the initial costs of installation. Since most hurricane rated and impact resistant windows are considered high-performance and energy efficient, you may qualify for rebates and government incentive programs designed to promote energy efficiency in residential homes. According to the Database of State Incentives for Renewables & Efficiency, there are many rebate and incentive programs in the State of Florida. It is to your benefit to check the site before purchasing new windows in Miami. Miami residents experience a hot, humid, and tropical climate during the summer months and an average of 68.2 F during the month of January. Miami has also endured plenty of hurricane activity over the years as the coastal city lies on the edge of the Atlantic Ocean. The climate is an important factor you should take into consideration, as it will affect the performance and expected lifespan of your new windows. With that being said, it goes without saying that due to the tropical conditions and high humidity levels, wood framed windows are probably not your best choice for the region. Aluminum and vinyl framed windows are better suited for this kind of climate as they offer more durability and require significantly less maintenance versus wood framed windows.